Sharing Your Room With Total Strangers, Sometimes It Can Be the Best Decision of Your Life. Meeting with people with similar thoughts and talking to them in reality that rarely happens in PG. In a group of friends living together, learning and sharing are both a piece of life and experience. The Isthara really sets the standard for a paid guest, with luxuriously comfortable beds, air-conditioned rooms, clean and good sized shower, good food, and support staff. 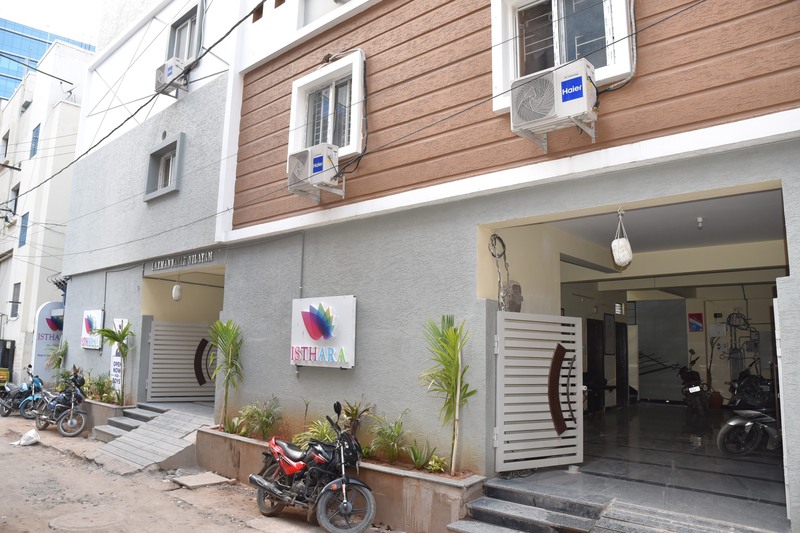 Situated in busy Gachibowli to Miyapur main road with easy access to the office and social venues. Food lovers can see TDS, Kodi Kurra Chite Gare, Glocal, Pista House, Hyper-Local, Dunkin Donuts, and Radisson nearby.